I recently discovered the secret to an amazing cup of coffee! It’s actually not really a secret, but I just didn’t know about it. The funny thing was that I had already been purchasing these single serve cups for my Keurig brewer and didn’t even realize it. The secret is in the filter! RealCup™ single serve cups have a Flavor Max Filter that gives you maximum amount of flavour in your cup of coffee or tea. A variety of brands have chosen to use this special filter including brands that I was already purchasing on a regular basis. I own a Keurig brewer and that’s the only way I make my coffee at home. It’s the best brewer on the market in my opinion. The Flavor Max Filter is unique because it uses non-woven fibers to ensure all the flavours, colours and aromas end up where they belong…in your cup. The coffee/tea is inside surrounded by an airtight flavor seal to keep it fresh. This diagram explains a little more about how it works. 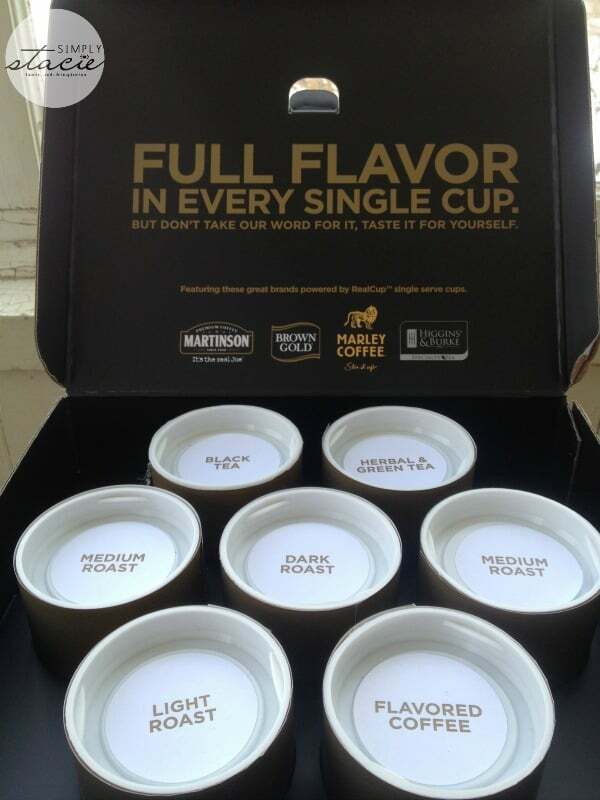 The folks at RealCup™ sent me a box of single serve cups of brands using the RealCup technology. 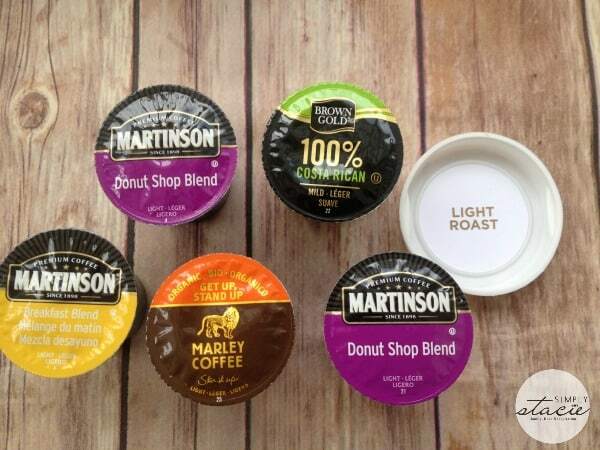 They include single serve cups from Martinson, Brown Gold, Marley Coffee and Higgins & Burke. They even separated them out for me so I could easily pick and choose the type of coffee (or tea) I wanted to try. I was in coffee heaven! Check out the line-up! 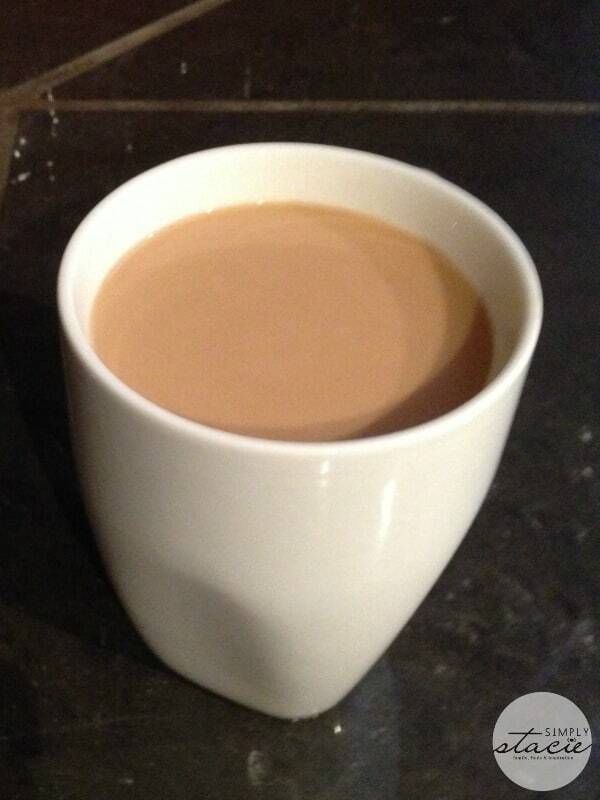 And teas too! I’m not a tea drinker so I’m saving these for my friend Angel’s visit to Nova Scotia later this month. 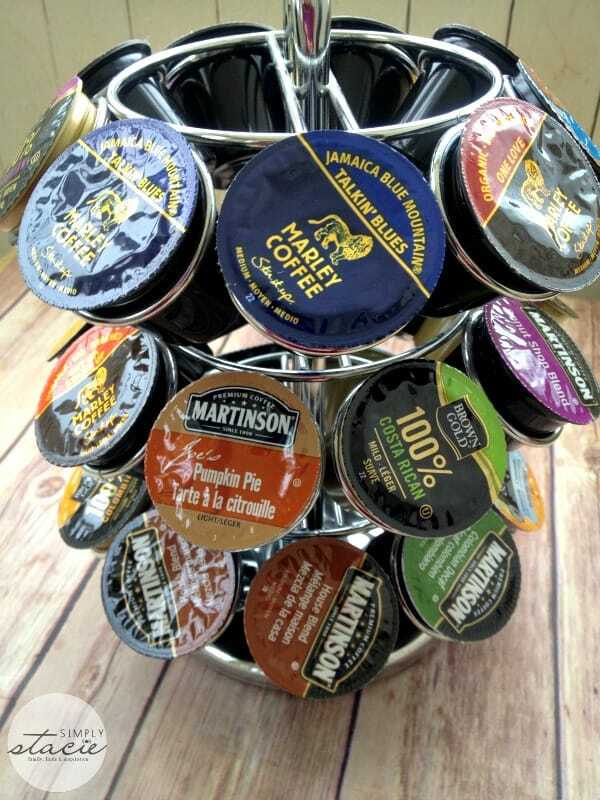 My K-cup carousel was stocked full! John and I both live on coffee so we went through them quick. Good thing we can buy more at Sobeys. So I’m sure you are wondering about the taste….let’s just say that RealCup™ single serve cups make a pretty darn awesome cup of coffee! 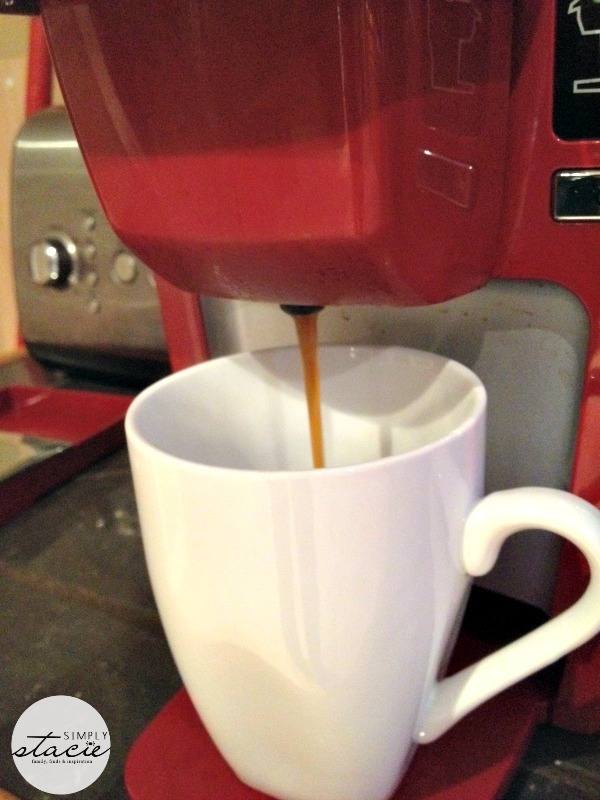 From the smell of it brewing to the first delicious sip in the morning, RealCup™ is a winner. I had a hard time deciding on which one was my favourite. However, I’m going to say Martinson Joe’s Pumpkin Pie. It was one of the best flavoured coffee I’ve tried yet and I’m sure the difference is in the FlavorMax filter. It was smooth, creamy and spicy just like pumpkin pie should be. Mmmm so good! There’s nothing like the first sip of coffee in the morning. I’m hooked on the RealCup™ filters! Want to taste the difference for yourself? You can purchase RealCup single serve cups online at stores like Amazon.ca as well as retailers like Sobeys, Walmart, Safeway, Staples and more! 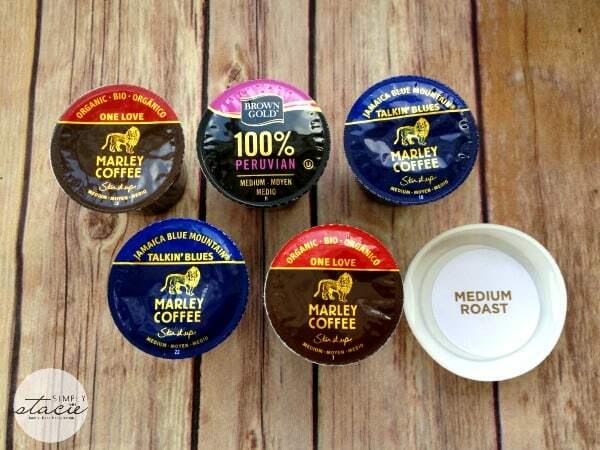 I like the variety of coffees available, including the flavored ones. Can’t wait to try Real Cup of coffee!!! I like that they have lots of variety and the filters give you more flavor. Love that there’s so many different flavors. There are loads of variety it would be fun to try them all. I like that they took the time to make the extra filter for good taste. I love that there are so many different flavors. It makes it easier to choose one that you like best. I did not realize there were so many different flavors. 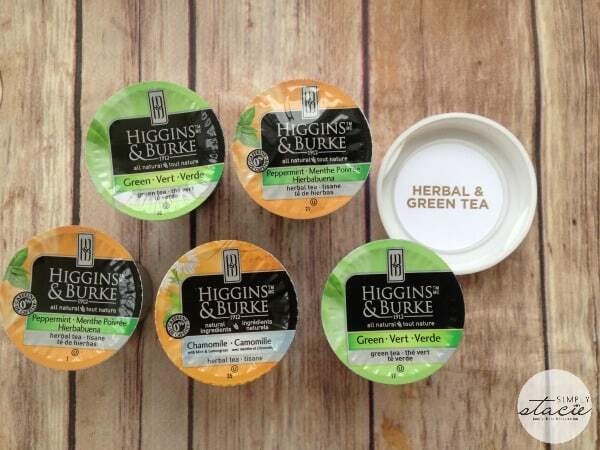 There are so many varieties of coffee and tea – I want to try them all! I like that they have cocoa also. I like that each container has a filter to help provide with the best tasting coffee, tea or cocoa, I would have a hard time picking flavors, as there are so many. Thank you for sharing this review. 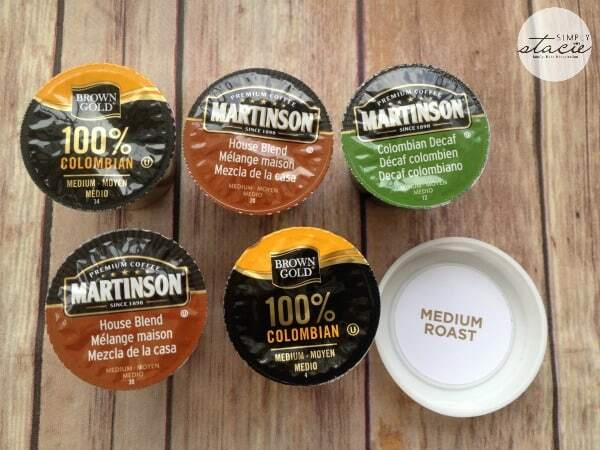 I like that they have flavor max filter and they are compatible with my Keurig! There are a lot of varieties. So many choices in flavours and love that they provide maximum flavor! 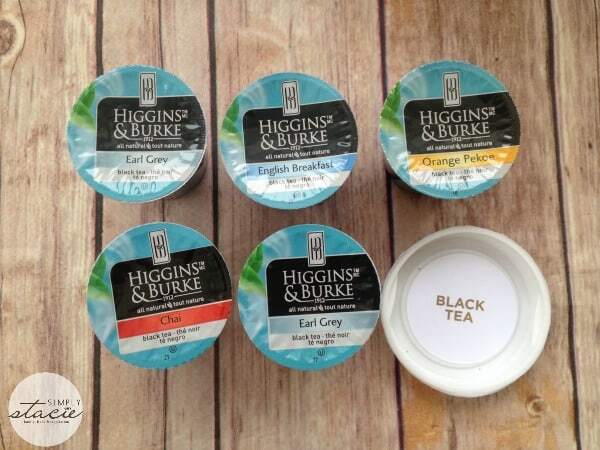 I would really like to try the Higgins & Burke® Chai Tea! 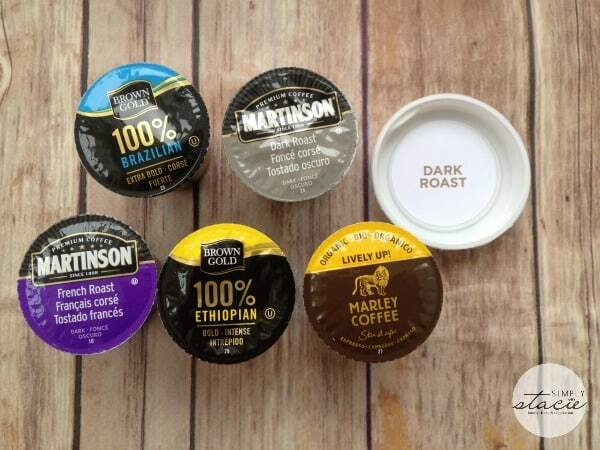 I like the Martinson® Mint ‘n’ Mocha. Has a cool filter system to make a better cup of coffee. I learned they use non-woven fibers to make their filters which makes for better flavor. i like that they use non-woven fibers to make sure all the rich flavors, colors and aromas end up in your cup. sounds great! I would like to try the Tiramisu Twist. They have some really unique flavors. I like the Flavor Max filter. I hadn’t heard of RealCup before so thanks for the intro! I learned their flavored coffees do not contain milk ingredients. I learned that they also sell hot cocoa. 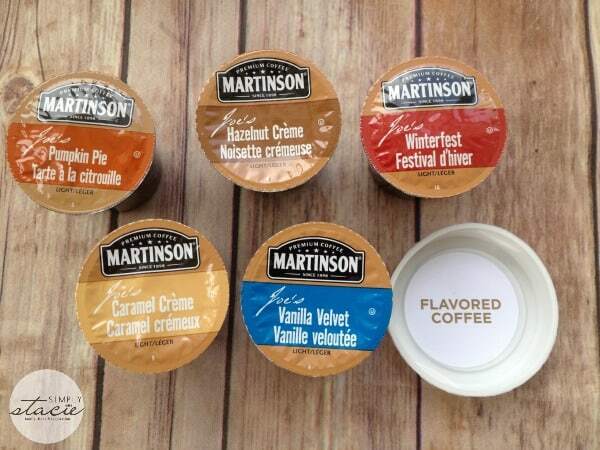 I would like to try the Martinson Hazelnut crème flavor. Thanks for the chance to win! I learned they sell these at Winn-Dixie. I learned they use the Flavor Max Filter that uses non-woven fibers to make sure all the rich flavors, colors and aromas end up in your cup.